As many of you know, Lush face masks are my absolute favorite quick and easy at-home masks. I love them because they really are great for my sensitive skin. I like to get facials every few months at the spa, but these are great for that at-home spa day. 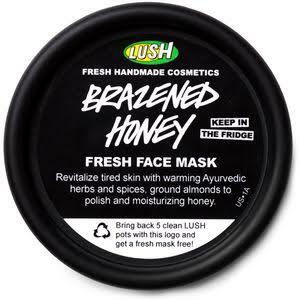 My new favorite Lush Cosmetics Face Mask is Brazened Honey. It has so many natural ingredients (turmeric, ginger, fennel, honey, ground almonds, etc.) that are great for healthy glowing skin. 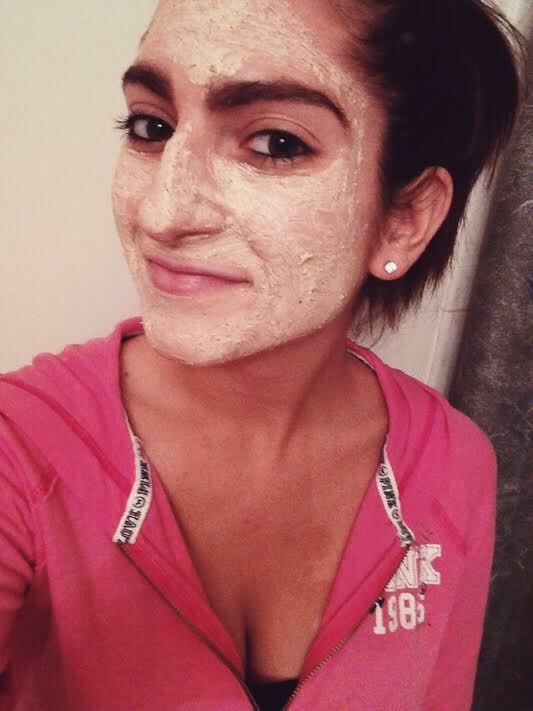 After washing your face, apply the mask and leave on for 15 minutes. I like to use this mask once a week.